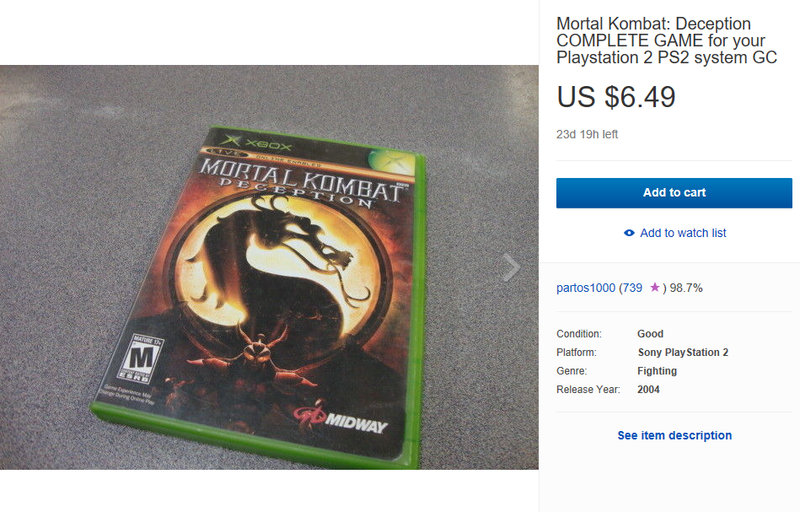 The shipping is what really makes this listing a bargain. It's economy (the cheapest shipping) too! 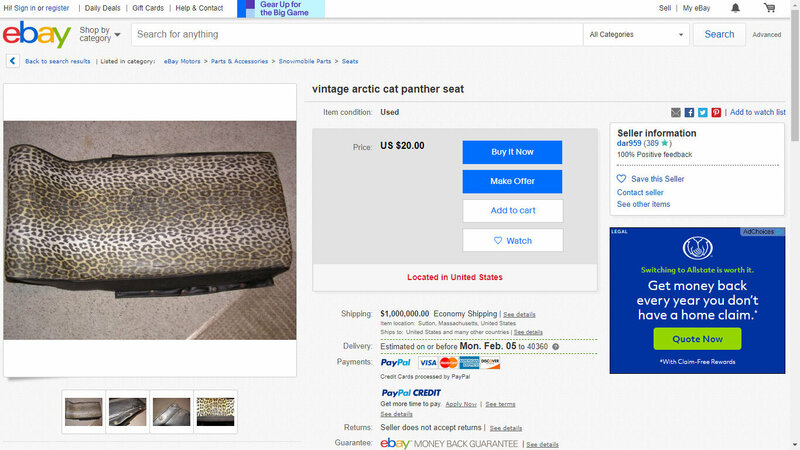 Judging by how long ebay listings tend to last I'd say there's a chance it may not be up any more. 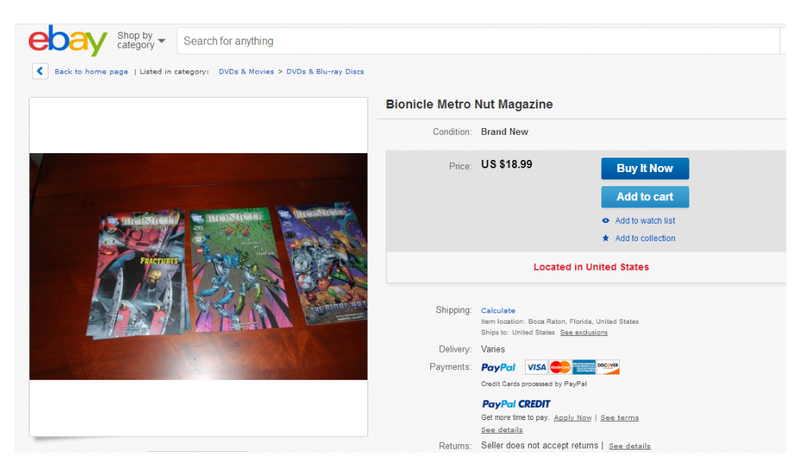 This listing has the best title ever. 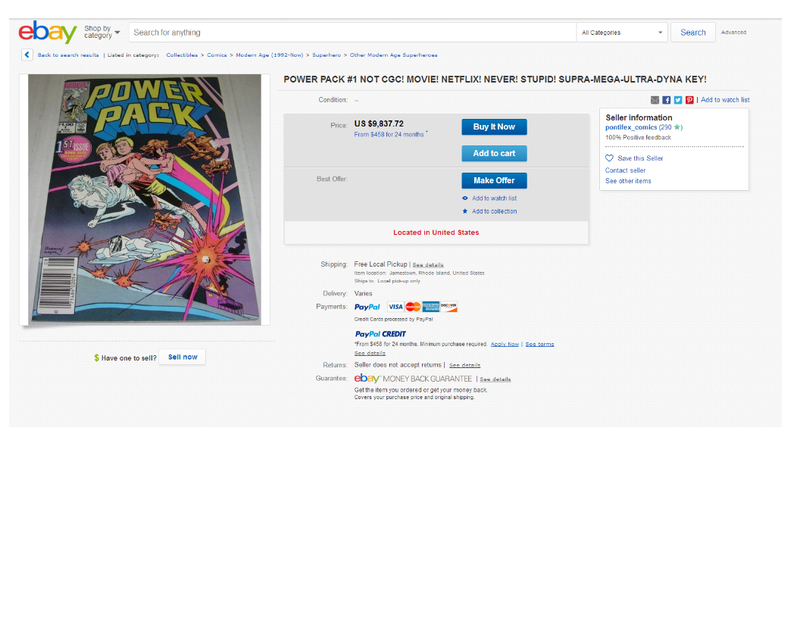 Edit: Just found a very shifty listing. 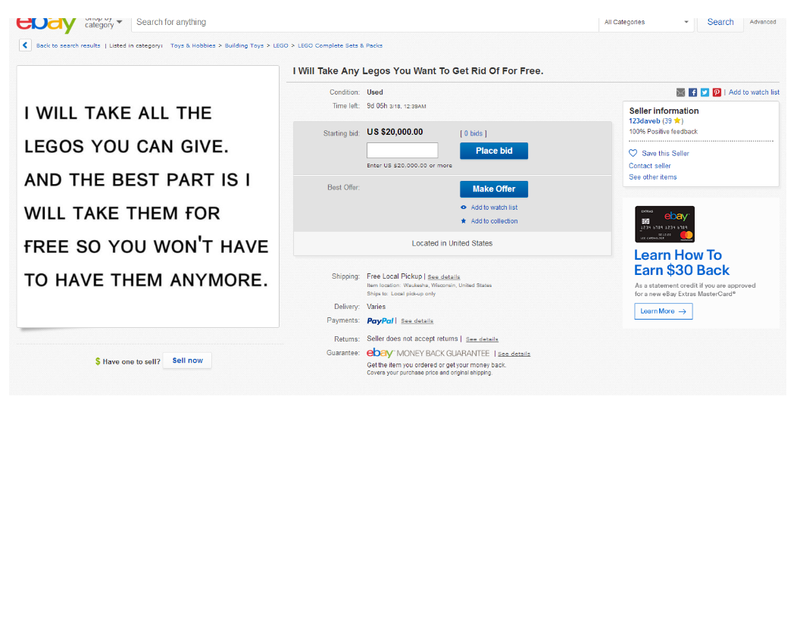 Apparently for $20000, some guy wil take all of your lego sets. 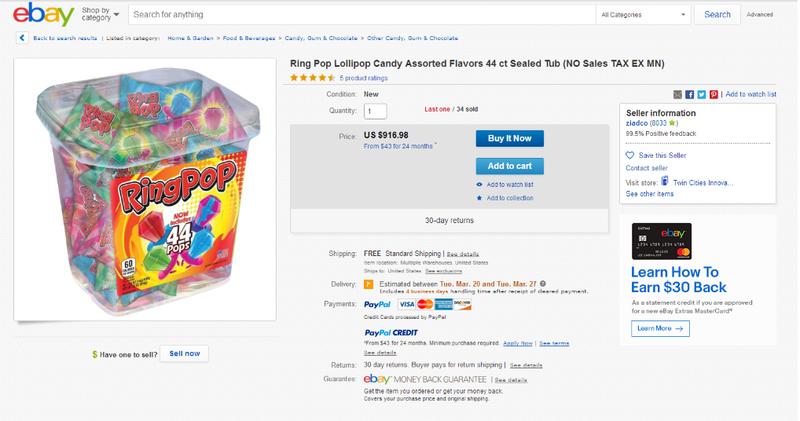 $916.98 for a box of ring pops, that's a little overpriced. 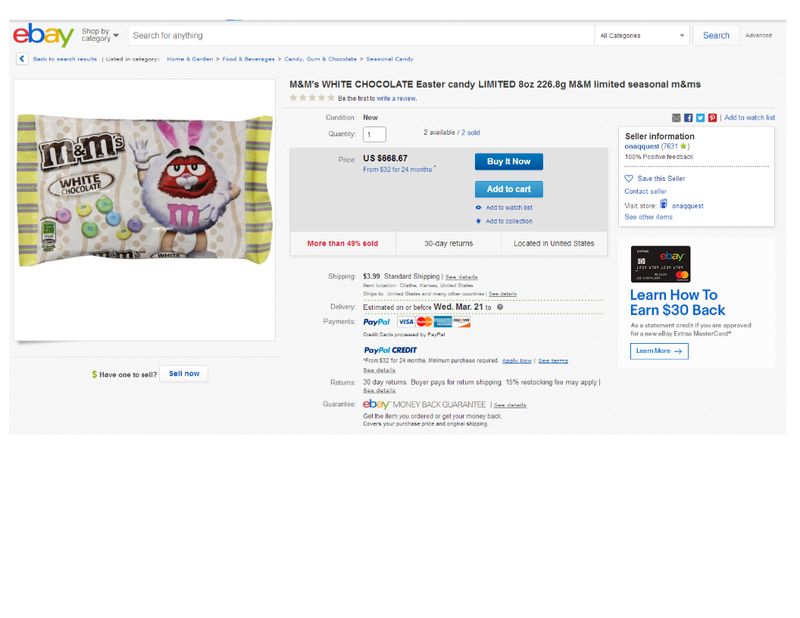 But that's nothing compared to 668.67 + $3.99 shipping for a box of M&Ms. Whoever is selling those Ring Pops has the right idea: free shipping. Definitely picking up on that sweet sweet deal. I found some comics for sale, in great condition. July 05 Nov 05 and Sept 05. | eBay! 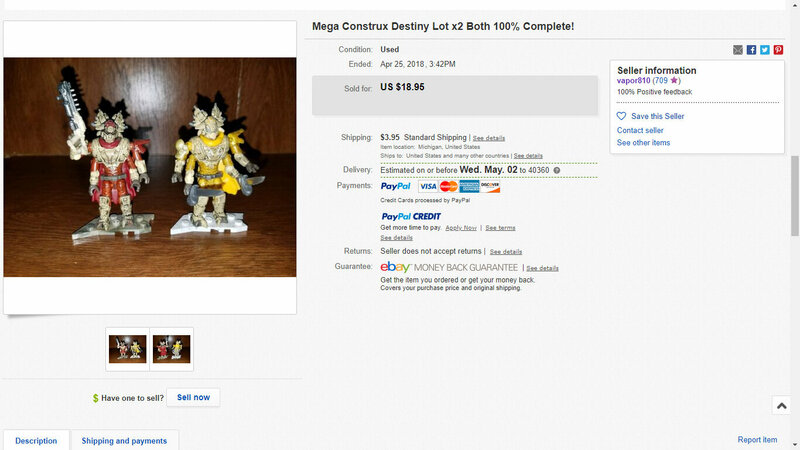 Back when this listing was up, this was a great deal on two super rare figures. Is it obvious that I like destiny? 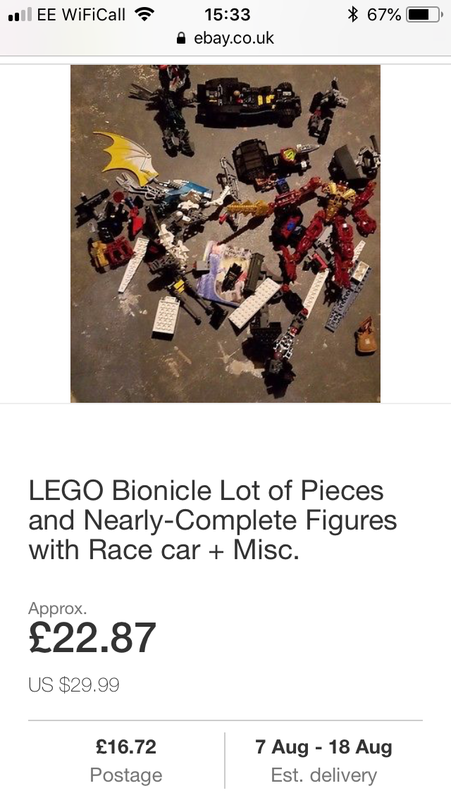 And here we have the ‘Lego Bionicle lot of Pieces and Nearly Complete figures with Race Car + misc’. As you can see, this is an amazing deal, as you will be getting a decapitated Jaller Inika, and a dying Vahki. Not only this, but you get an amazing ‘race car’. 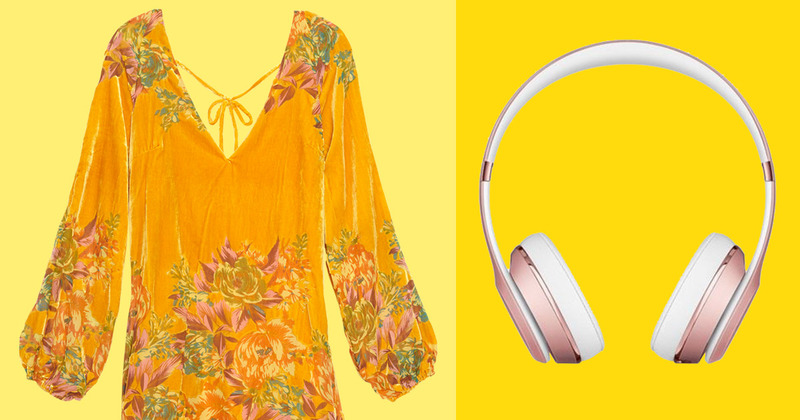 And all for just $30! The description states that ‘Most of the figures/pieces are in really great shape’. It’s good to know that your Lego pieces have been working out. Also, for anyone who couldn’t realise, this is completely sarcastic. I loved Destiny once, but the sequel really killed it for me. Just listed a Whenua Metru. Link soon. The case is pretty green for a ps2 game. 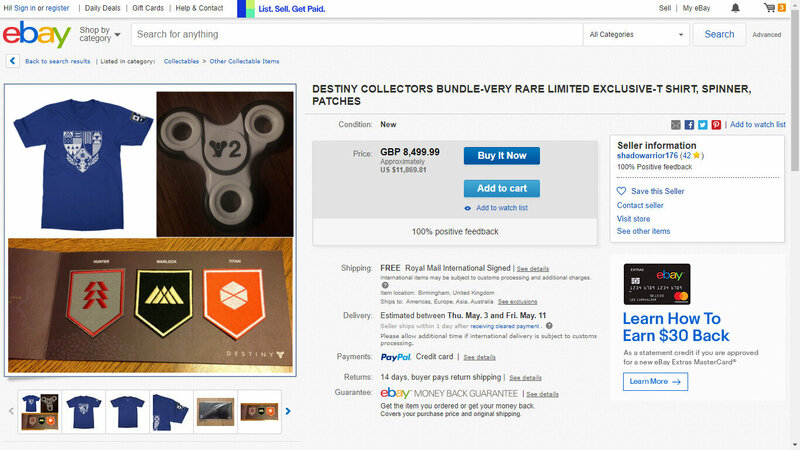 We first saw this poor Bulk in 2013 on On Ebay Today, the seller desprately attempting to sell this.... Figure. .... Until today. Mr. Figure himself has been bought by yours truly, and is safe and sound. Such a heroic deed. You have saved this poor soul. His shattered body and rejuvenated soul shall ignite a fire in us all. I don't know about the rest of us, but I'm sure you'll go to Heaven. Do you plan to rejuvenate his body? for only $60 dollars, too.not a bad deal, if you ask me. 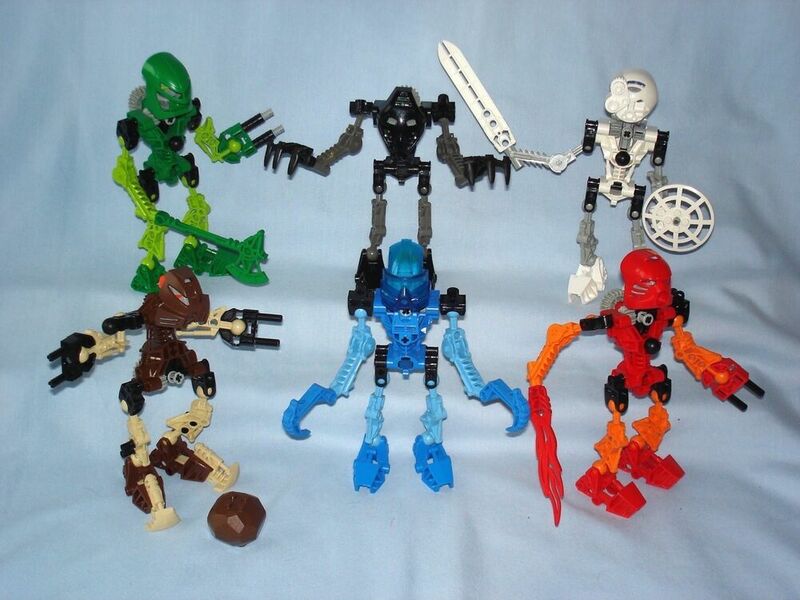 The six Mata Nui Toa were introduced in 2001, and then they were retired. 8531 Pohatu - Toa of Stone. 8536 Kopaka - Toa of Ice. The Toa are 8532 Onua - Toa of Earth. 8533 Gali - Toa of Water. 8534 Tahu - Toa of Fire. | eBay! this also caught my eye, I really want all the toa mata. Go look on Bricklink, that listing is way to expensive.